Terfeliaid :: View topic - Do you want to place a bid? Do you want to place a bid? Posted: Mon Apr 30, 2018 11:52 am Post subject: Do you want to place a bid? Bryn Terfel's swinging sixties Jaguar and an Alice in Wonderland tour bus are up for auction. A 1960s Jaguar owned by Sir Bryn Terfel and a former Alice in Wonderland Tour bus are going under the hammer. The classic Jag, that was bought by the opera star at the start of the year, could go for as little as £3,000. It joins the old Llandudno Alice in Wonderland tour bus on the list of lots set for auction in North Wales today. 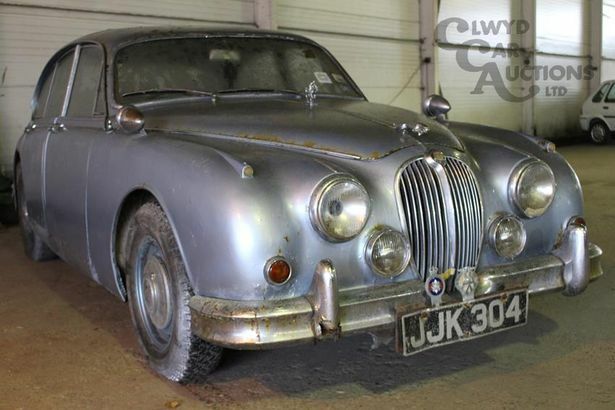 Standard Mark 2s can collect as much as £60,000 when sold, but auctioneers at Clwyd Actions are expecting offers between £3,000 and £5,000 - although there is no reserved price.